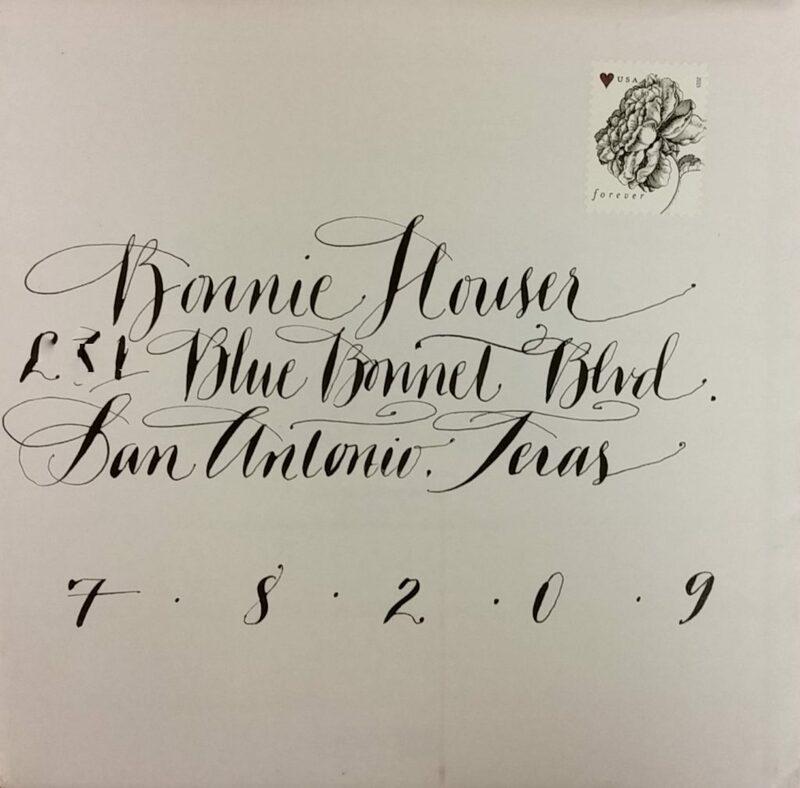 Envelop art is fun, traditional way to share calligraphic art with others. 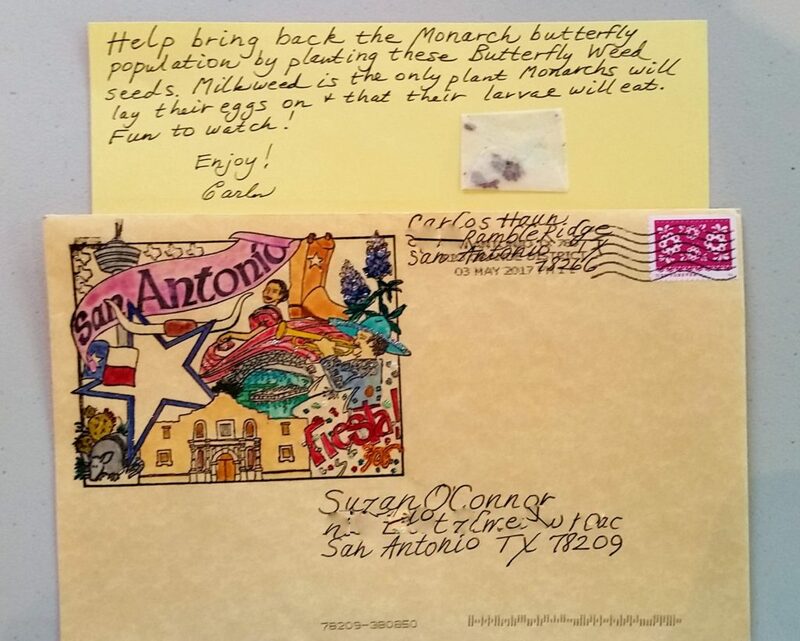 Participants sign up and are paired with others to exchange three “decorated” envelopes per month through the mail. Often the postage stamp becomes part of the coordinated artwork. 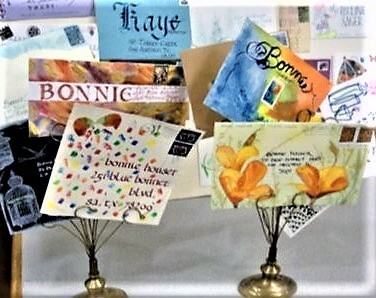 While emphasis is on the creative and original artwork on the outside of the envelop, participants may also include a short note or small gift inside as well. Envelopes are displayed to the membership at the pot luck dinners and monthly meetings. All arrangements and questions are handled by the Envelop Exchange Chair.